An online database is a database accessible from a local network or the Internet, as opposed to one that is stored locally on an individual computer or its attached storage. Online databases are hosted on websites, made available as software as a service products accessible via a web browser. They may be free or require payment, such as by a monthly subscription. Some have enhanced features such as collaborative editing and email notification. John Michael Erlewine is an American musician, astrologer, photographer, TV host, publisher and Internet entrepreneur who founded the music online database site AllMusic in 1991. TiVo Corporation is an American technology company. Headquartered in San Jose, California, the company is primarily involved in licensing its intellectual property within the consumer electronics industry, including digital rights management, electronic program guide software, and metadata. The company holds over 6,000 pending and registered patents. The company also provides analytics and recommendation platforms for the video industry. 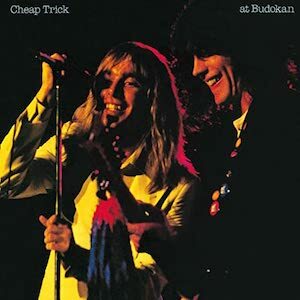 Cheap Trick at Budokan is a live album released by Cheap Trick in 1978 and their best-selling recording. It was ranked number 426 in Rolling Stone magazine's list of "the 500 Greatest Albums of All Time". RhythmOne is an American company that owns and maintains AllMusic, AllMovie, AllGame, SideReel and Celebified. The company was founded in 1990 by popular-culture archivist Michael Erlewine. RhythmOne offices are located in San Francisco, California, and Ann Arbor, Michigan, United States, and several other locations across the country. RhythmOne plc, formerly known as Blinkx, and also known as RhythmOne Group, is a digital advertising technology company that uses cross-device content to connect brands to consumers. American singer Hilary Duff has released five studio albums, two extended plays (EPs), two live albums, five compilation albums, five video albums, 18 singles, and 21 music videos. Duff released her debut studio album Santa Claus Lane on Buena Vista Records in October 2002. The holiday album peaked at the 154th position on the Billboard 200 in the United States, and was certified gold by the Recording Industry Association of America. The discography of Public Enemy, an American hip hop group, consists of fourteen studio albums, two live albums, four compilation albums, two remix albums, one soundtrack album, four video albums, thirty-nine singles, four promotional singles and thirty-nine music videos. The group released their debut studio album, Yo! Bum Rush the Show, in February 1987; it peaked at number 125 on the United States Billboard 200. The album spawned the singles "Public Enemy No. 1" and "You're Gonna Get Yours". Public Enemy released their second studio album, It Takes a Nation of Millions to Hold Us Back, in April 1988. The album peaked at number 42 on the Billboard 200. It has since sold 1.3 million copies in the US, earning a platinum certification from the Recording Industry Association of America (RIAA). Four of the album's singles charted on the US Billboard Hot R&B/Hip-Hop Songs chart: "Bring the Noise", "Don't Believe the Hype", "Night of the Living Baseheads" and "Black Steel in the Hour of Chaos". The former three, along with the single "Rebel Without a Pause", also charted in the United Kingdom. The discography of West Coast hip hop artist Mack 10 consists of eight studio albums, two compilation albums, twenty-two singles, and fifteen music videos. He has also collaborated on two albums and was featured in two soundtrack albums. After signing to Priority Records in 1995, Mack 10 released his self-titled debut album in June. The album, produced by fellow rapper Ice Cube, saw considerable commercial success and went Gold in the US. His prosperity continued when he released Based on a True Story, which peaked at number fourteen on the US Billboard 200. The rapper collaborated with Tha Dogg Pound to record "Nothin' But the Cavi Hit" which was released on the Rhyme & Reason soundtrack. Mack 10's 1998 release, The Recipe, was the rapper's third and final album to be certified Gold in the US by RIAA. Mack 10's album sales began to decline after his first compilation album release, Hoo-Bangin': The Mix Tape, Vol. 1. His fourth studio album, The Paper Route (2000), debuted at number nineteen on the Billboard 200; however, it failed to earn the rapper any RIAA certifications. Suranga Chandratillake was the founder and CEO of blinkx, the San Francisco-based video search and advertising company which later became RhythmOne. After eight years as CEO and taking blinkx public, Chandratillake became the company's Chief Strategy Officer and, in 2014, returned to Europe to join the UK-based venture capital firm, Balderton Capital, as a General Partner. The discography of the American rock band Saliva consists of ten studio albums, one compilation album, one extended play, twenty-three singles and twelve music videos. SideReel is a website that offers users the ability to search for television shows, get new episode alerts, watch full episodes online and mark the episodes they've watched. The company also announced it had surpassed 1 million unique visitors in one day. It is a TV community site with user discussions, reviews, and news. SideReel acts as a medium, connecting users to content centered on the shows that interest them and organizing the information around those shows. 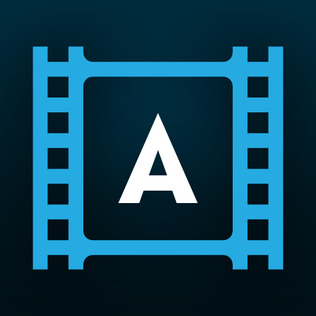 AllMovie is an online guide service website with information about films, television programs, and screen actors. As of 2013, AllMovie.com and the AllMovie consumer brand are owned by RhythmOne. ↑ "BLINKX ACQUIRES ALL MEDIA NETWORK, LLC - Newsroom - RhythmOne". Investor.rhythmone.com. Retrieved 17 February 2019. ↑ "Allmusic.com Site Info". Alexa Internet . Retrieved March 24, 2017. 1 2 3 Wolf, Gary (February 1994). "All Music". Wired . Retrieved February 27, 2014. 1 2 Smith, Ernie (September 16, 2016). "The Story of AllMusic, the Internet's Largest, Most Influential Music Database" . Retrieved 20 July 2017. 1 2 3 4 5 6 Bowe, Brian J. (January 24, 2007). "Make it or Break it". Metro Times . Retrieved February 27, 2014. 1 2 Herbert, Daniel (January 24, 2014). Videoland: Movie Culture at the American Video Store. Los Angeles, CA: University of California Press. p. 209. ISBN 0520279638 . Retrieved 20 July 2017. 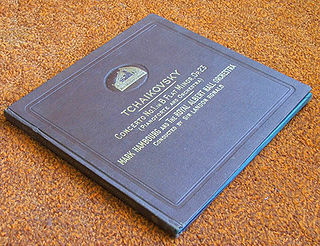 ↑ "Formats and Editions of All Music Gude". worldcat.org. World Cat. Retrieved 26 July 2017. ↑ Nosowitz, Dan (January 30, 2015). "The Story of AllMusic, Which Predates the World Wide Web". Vice. Retrieved 22 June 2017. ↑ Smith, Ernie (September 20, 2016). "The Big Data Jukebox". tedium.com. Tedium. Retrieved 26 July 2017. ↑ Weisbard, Eric (February 23, 1999). "Conjunction Junction". Village Voice. Retrieved 22 July 2017. ↑ Powers, Ann (June 3, 2015). "Digital Underground Who Will Make Sure The Internet's Vast Musical Archive Doesn't Disappear?". NPR. Retrieved 20 July 2017. ↑ "Focus Article: Rovi Corporation". insidearbitrage.com. Inside Arbitrage. Retrieved 28 September 2017. ↑ "Blinkx Acquires Website Owner All Media Network For Undisclosed Amount". London South East. April 16, 2015. ↑ "BLINKX ACQUIRES ALL MEDIA NETWORK, LLC - Newsroom - RhythmOne". investor.rhythmone.com. Retrieved 2019-01-15. ↑ Toon, Jason (July 21, 1999). "Rock Stock: A book report on the best tomes to consult before buying tunes". Riverfront Times . Retrieved March 8, 2015. ↑ Bruno, Anthony (February 28, 2011). "AllMusic.com Folding Into AllRovi.com for One-Stop Entertainment Shop". Billboard . Retrieved June 15, 2013. ↑ Heater, Brian (August 13, 2007). "Top 100 Classic Websites – AllMusic – Slideshow from pcmag.com". PCmag.com . Retrieved September 24, 2013.